Options abound for checking out all the championship action on whatever screen you choose. 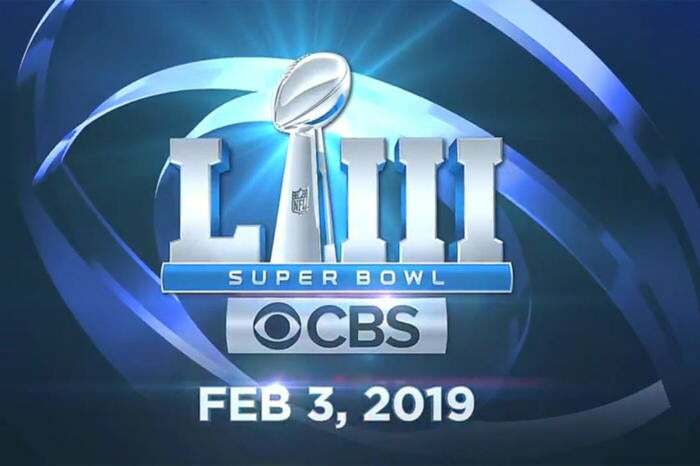 The table has been set: The Los Angles Rams will face the New England Patriots in Super Bowl LIII on Sunday, February 3. CBS will cover the game in Atlanta, starting at 6:30 p.m. Eastern time. Here’s how you can watch the big game—and all those great commercials—without an expensive cable or satellite TV subscription. Of the four major North American sports leagues, the NFL remains the only one you can still enjoy without a pricey cable subscription. All you need is an antenna. 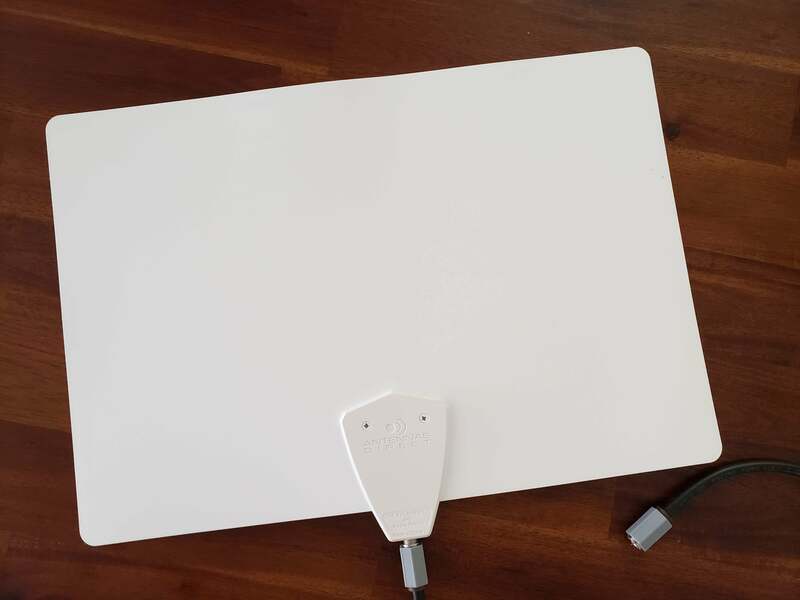 Connect the $80 Clearstream Flex indoor TV antenna to your set, and you can watch the NFL Conference Championships and Super Bowl LIII in better quality than cable or satellite TV are likely to deliver. If you’re old enough, the thought of using an antenna probably conjures memories of temperamental “rabbit ears” and staticky images. But today’s antennas come in a range of designs, from paper-thin indoor models like the Clearstream Flex, to Erector Set behemoths that you mount on a rooftop mast, and they provide reliable, crystal-clear HD resolution for absolutely free. All you need to do is plug one into the tuner that’s a fixture of most modern TVs. Before you purchase one, though, go to a site like TVFool or Antennaweb and see which networks are available from your local broadcasters. Just enter your address to get a report of all the broadcast signals in your area, ranked from strongest to weakest. Once you determine which broadcaster is furthest from you’re home, you’ll know what range antenna to buy. In the event you’re too far from a transmitter to pull in some or all of these networks, you’ll need one or a combination of the streaming options that follow. If you’re only interested in the Super Bowl, you can still watch it free even without an antenna. CBS announced at the start of the NFL season that its streaming coverage of the game will be available online at CBSSports.com and on the CBS Sports app, and that it will lift its cable-login requirements so anyone can view it. The game will also be streamed live on the CBS All Access service. For $40 a month, DirectTV Now’s Live a Little plan gives you more than 65 live TV channels, including CBS, Fox, and NBC in select areas. That includes 20 free hours of cloud DVR storage. It’s available for Chromecast, Apple TV, Amazon Fire TV, iOS and Android devices, and Google Chrome and Safari browsers. FuboTV is peculiar in that its focus is primarily on sports, but it doesn’t include ESPN in its lineup. But that doesn’t matter in the final days of the NFL’s 2019 season, since you’ll need only CBS and Fox, which it does offer in select markets. The service costs $45 per month ($40 for your first month), but a 7-day free trial will let you watch the Super Bowl for free. 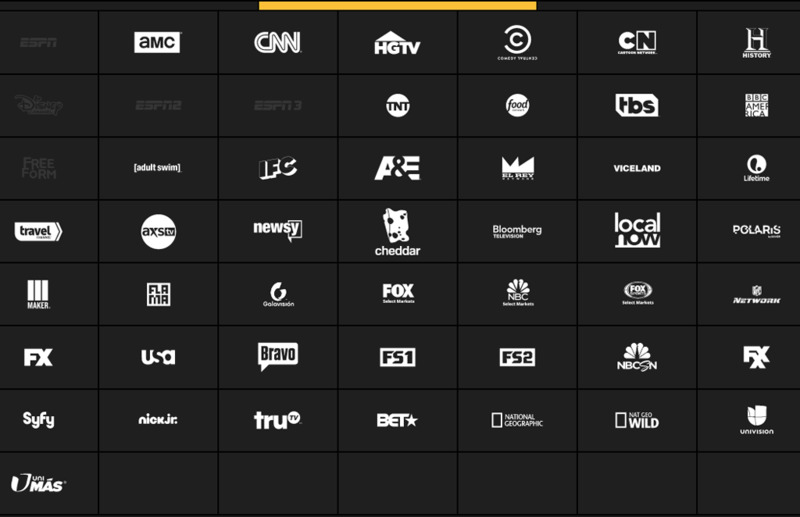 Check here to see if FuboTV carries your local broadcast station. Over the last few years, the online streaming service Sling TV has been an increasingly valuable solution for cord cutters wanting to tune in to live sports. Unfortunately, it does include CBS in any of its channel lineups but it has you covered for the NFC Championship. Sling TV’s Blue package gets you more than 40 channels including NBC, Fox, and NFL Network. The Sling Blue package gives you more than 40 channels for $25 a month. That includes NBC and Fox, but only in select markets. If you live in one of them, the Blue package will also give you access to the NFL Network, which delivers non-stop news, analysis, and other supplemental coverage during Super Bowl season. Sling TV supports most connected TV and mobile devices. Currently, the service is offering a discounted Roku Ultra with a three-month commitment, or a free Roku Express when you pre-pay for two months. Similar to Sling TV, PlayStation Vue offers a variety of channel packages for a low monthly rate. The $45-per-month Access package is the one you want for this NFL postseason, as it includes both CBS and Fox among its 45-plus channels. As with Sling TV, however, it depends on the market you live in. If you’re in an area that receives some or all of them, you might consider bumping up to the Core package for $50 a month (a current offer knocks $20 off for the first month). That will get you more than 60 channels, including the NFL Network. In addition to PlayStation consoles, PlayStation Vue is available on Chromecast, Amazon Fire TV, Roku, iOS, and Android devices. Google’s TV streaming service is our current favorite, and it’s available in most U.S. metropolitan areas (enter your zip code here to see if it’s available where you live). You get more than 60 channels, including CBS and Fox, for $40 per month, and there is a free trial available. If you’re not fussy about watching games in real time—and have the willpower to abide a self-imposed media blackout—NFL Game Pass will give you the playoff matchups and the Super Bowl with a single subscription. NFL Game Pass provides on-demand access to all games —including the postseason—after they air. It also gives you access to an NFL Films archive, including past episodes of classic shows like A Football Life, Hard Knocks, and America’s Game. The subscription fee has been knocked down to $50 for the rest of this season (it’s normally $100 per year), and that will give you access through July 31. Whichever options you choose, you’re guaranteed to have front-row seat when the NFL’s best team hoists the Lombardi Trophy in Atlanta.